If you’ve wondered whether a copyright can be transferred to someone else, the answer is yes. 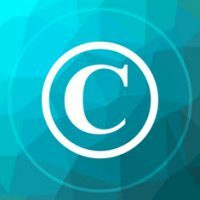 Copyrights are important, especially to small businesses, as they allow an author to create original works without the concern that it will be stolen by someone else. You can register your copyright to make it easier to protect, but it’s not necessarily required. However, there may be some instances when you want to transfer a copyright to someone else. In order to transfer exclusive rights to the copyright, the transfer must be in writing and signed by the original copyright owner to be deemed valid. An authorized agent of the copyright owner, like an attorney or business associate, can also sign the document. If the copyright owner is intending to transfer non-exclusive rights, a written agreement is not necessary. If the case of a transfer executed in a foreign country, the certificate was issued by a diplomatic or consular officer of the US, or by a person authorized to administer oaths who has authority proven by the certificate of such an officer. Recordation may establish legal priority between conflicting transfers or between a transfer and non-exclusive license in certain cases. Recordation establishes a public record. Some courts have held that a security interest in a registered work must be recorded with the Copyright Office to protect the creditor’s interest. Recording the document may provide “constructive notice.” Constructive notice means that the public is deemed to have knowledge of the transfer and can’t claim otherwise. In order to qualify as constructive notice, two conditions must be met. The Copyright Office doesn’t enforce agreements, nor does it determine whether documents satisfy legal requirements necessary for them to be legally enforceable. This is why you need a skilled Washington DC small business lawyer to help ensure your copyrights are protected, and you’re still protected in the event you need to transfer rights to an existing copyright. Contact the team at Tobin, O’Connor & Ewing today to schedule a consultation.